We adore this watch. 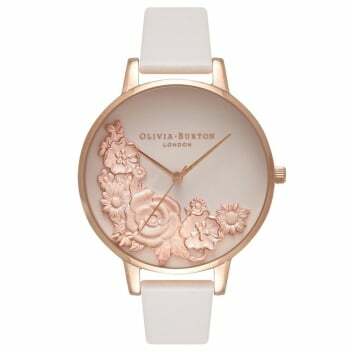 The simple white dial is adorned with a beautiful bouquet cast in gorgeous rose gold. The duo of colours lends the timepiece and undertstated elegance. Worn alone, or stacked with rose gold bangles, it's sure to bring a touch of chic to your look.